Marketing experts, particularly those with a vested interest in selling digital marketing products, have been predicting the death of cold calling for a long time. Not only is cold calling alive and kicking, it’s more effective and easier than ever — if you do it right. In fact it’s one of the very best ways to get in front of the CEO of a company you’d like to do business with. Let me put that in context. By cold calling I don’t mean making 100 calls a day reciting a script by rote. I mean directly approaching the CEO of a company you’re targeting — or another senior “C” level executive, but ideally the CEO (you’ll discover why later) — to schedule a meeting and to discuss how you can help him or her solve a pressing issue his (or her) company faces. Thanks to LinkedIn and the internet it’s now easy to plan such calls (or to be more exact communications) and to achieve your objective — so I guess it’s really warm calling, not cold calling. But we’re still talking about directly approaching a CEO or senior executive who doesn’t know you and who — right now — doesn’t care about you or your company. Why start at the top? Prerequisites for talking to the CEO. What if the CEO isn’t your normal target? The pros and cons of referrals. I debunked the “buyers complete 67% of the buyer’s journey before contacting a sales rep” myth in an earlier post but there is still a belief among many people (incorrect in my opinion) that digital marketing, social selling and content marketing is the only way to go. If they don’t come to you you’ll never even know it. There are many reasons they might not come to you. For example, your competitor’s digital marketing, content, etc might simply be better than yours. They may never have heard of you and there are, after all, billions of web sites and an awful lot of digital chatter filling the ether. Or they may have heard of you and have a preconceived notion, or they might not realise your capabilities. Or a sales development representative (SDR) from another company might have approached them directly 23% (or whatever) into the buyer’s journey. Or, perish the thought, an SDR from a competitor might have helped initiate the buyer’s journey. Whatever the reason, until you hear from them you don’t know they are in the market — and if they don’t come to you, you’ll never know. If you wait for them they may choose an entirely different approach to solve their problem — and again you’ll never know. For example, if the company isn’t making enough profit — a typical CEO issue — there are a thousand ways to approach the problem. They could cut expenses, reduce staff, increase prices, drop low performing product lines and so on. Suppose they decide they need to sell more to solve the problem. If you can help them sell more — for example by implementing a Big Data analytics solution — you have something they need. But at the early stages you aren’t just competing with direct competitors, you’re competing with any other approach to solving the core business problem. If you’re talking to them early you can show how your approach gives more bang for their buck with less risk. But not if you’re sitting waiting for them to download a white paper or tot up enough points in your marketing automation system for you to give them a call. No matter how easy to understand your content is, no matter how clear you think you’ve been, people will get things wrong. They won’t always read the “right” collateral, they’ll read what other people say about you, they will make assumptions. And let’s face it, a lot of online marketing collateral isn’t particularly easy to understand, even for people who know what it’s about. I’ve read lots of online content that I’ve had to struggle to understand — and most prospects won’t struggle, they’ll just give up — or they will get things wrong. So if they do come to you 67% of the way through the buyer’s journey you may have a lot of mind changing to do — and that’s never easy. If you haven’t been talking to them — and helping them — during the early part of their buyer’s journey the chances are that someone else will have been. One of your competitors may have influenced the requirements and positioned themselves as trusted advisors and you’re just there for comparison purposes or to provide a second quote. If they have done research and made many decisions before they call you, then you won’t have added any value. Prospects buy from the companies and sales people who are seen to add value and act as consultants and advisors, not people who respond to queries well into the buying journey. You can’t add value if you’re sitting back waiting for them to come to you. Whoever it is that calls you, you can be sure they aren’t the ultimate decision maker. They will be the person tasked with the job of doing research and making inquiries — and that will be some minion, not the CEO. And if someone does enough research to trigger your marketing automation system and spit them out as a lead — they’ll probably be a minion as well. 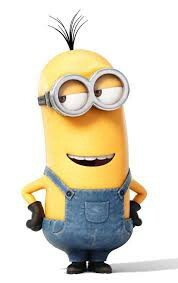 And even a nice minion like Kevin isn’t a decision maker. When you’re stuck at the wrong level you can waste an awful lot of time and money jumping through hoops on a deal you never have a realistic chance of winning. Everyone wants to talk to the “decision maker”. But who is a decision maker? The ultimate decision maker is almost always the CEO. Many sales people are reluctant to start with the CEO for reasons (some good, some not) that I’ll cover later. But there are some very good reasons why you should start at the top. It’s easier to walk down a hill than it is to climb up it. In business, it can be extremely difficult to move up a level of seniority when you’re dealing at a lower level and it’s close to impossible to climb to the summit. (It can be done. I once started with the IT Manager of a small subsidiary of the world’s largest publisher and slowly climbed to the CFO, then the MD, then the CIO of the Australian parent, the COO and then the local MD. From there I met with the Regional VP, on to the CIO of the “International” division (i.e. everywhere but the USA and UK), then her boss, the International COO, then on to various country managers, then the global CIO. I finally got as far as the COO and the second in command of the $8 billion, 50,000 employee PLC company listed on the FTSE. On the other hand, if you start at the very top and get referred down, you don’t get referred to the bottom of the pile. The CEO doesn’t know the people at the bottom of the pile. Usually you get referred down one level, or two if you’re unlucky (or if you fluff your lines). When I called the CEO of one of Australia’s top five companies in 2012, I was referred down — to the second in command, the CTO and several general managers. If I’d tried to come up through the ranks I’d still be stuck about five or six levels from the top four years later. Even if you really want to get two or three levels down, start at the top. It’s closer. When you first engage with a new prospect you’re forever stamped as belonging at a certain level. If you know someone who knows someone who is a middle manager and you’re referred through them you’ll always be seen as operating at that level.You may get introductions higher up the food chain but you’ll probably get stuck trying to climb the corporate chain of command. And you’ll always be that guy (or girl) who was referred through Bill the sales manager. If you are referred to the CFO or CSO by the CEO you’ll be seen as operating at that level. The mere act of being able to communicate with the CEO and his or her direct reports as an equal will give you clout. I wrote a Slideshare presentation on how to schedule meetings with senior executives. I just realised it’s the perfect companion to “How to Cold Call the CEO (not the minions)”. Sadly the Slideshare presentation is minion free (although really that’s a good thing if you’re after meetings with senior executives) so I’ve tried to make up for it in the picture above. Steve Hall is an executive coach and an executive sales coach. He helps his senior executive clients to be more productive, more focused and to have more time for the things that really matter. He helps sales executives to sell more and to build relationships at a higher level. He is a member of Sales Masterminds Australasia and is based in Sydney, Australia.